Excellent company to deal with. 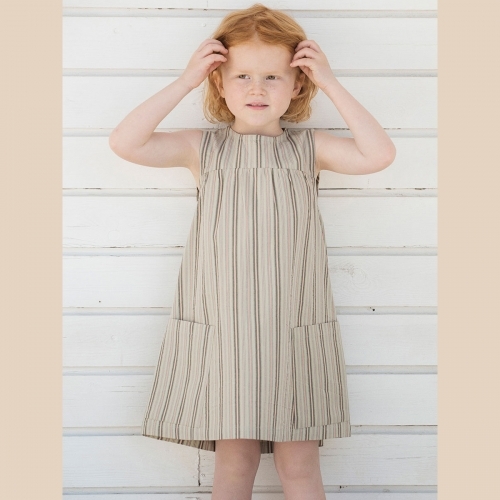 ..
Soft organic corduroy baby dress.We love the colour and design! Practical and beautiful in its Scandinavian quality and simplicity - thank you Serendipity, yet again! 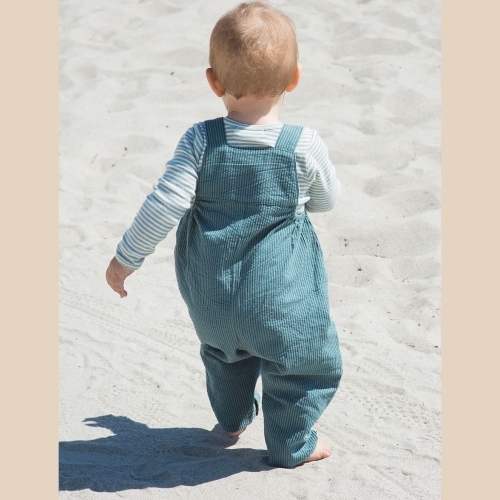 These cleverly designed baby dungarees in woven organic cotton have tagua nut buttons on the shoulder straps, gently elasticated sides and nickel free poppers on the inside legs for easy changing. 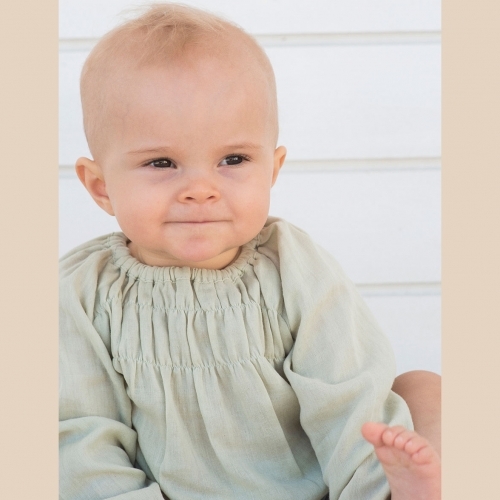 A beautiful and light and comfortable long-sleeved gauze baby dress. 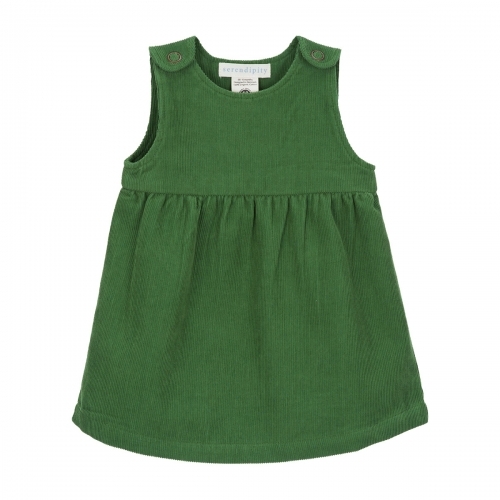 The dress is double layered organic cotton fabric and comes a a lovely light herb green and dark siena pink with a gathered elasticated neckline, sleeves and yoke and raglan sleeves. 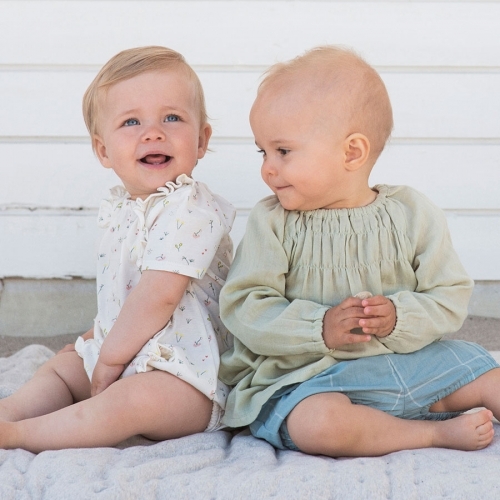 Soft organic woven cotton baby suit. 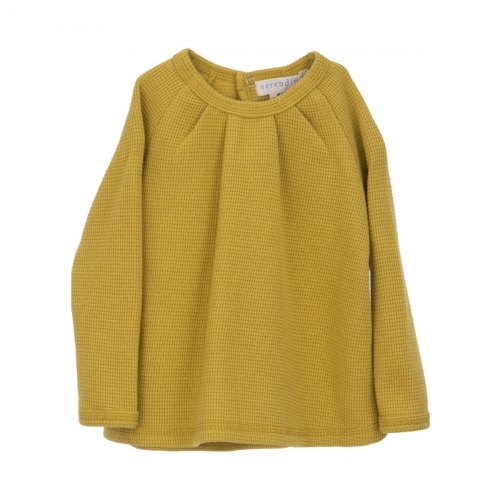 This is one of our favourites for summer or autumn babies!. 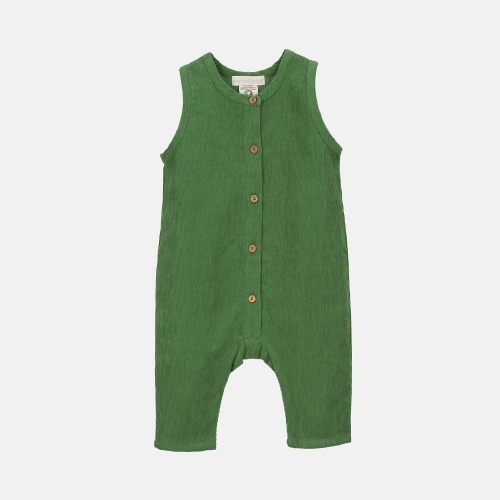 Wear over an organic cotton baby body or with tights in the autumn, this suit has nickel free poppers at the shoulders, side and between the legs for easy changing. Gently elasticated at the legs. 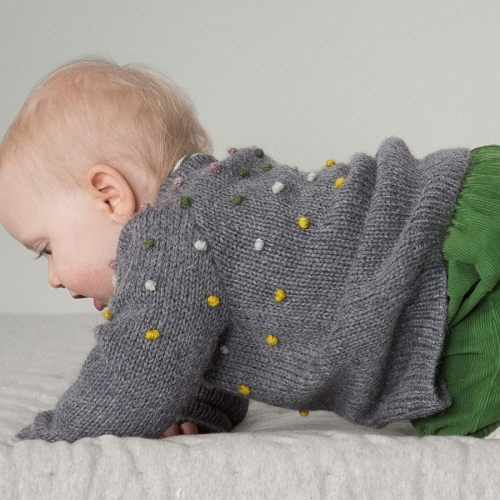 Divine cardigan for your baby, hand knitted in soft, long-lasting de-haired Llama wool. 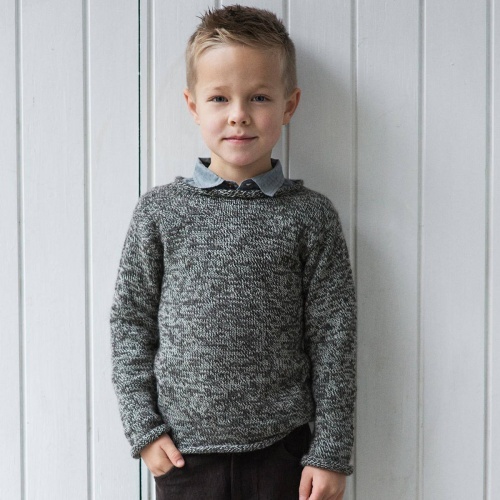 Cable knit pattern with ribbed collar, cuffs and hem. 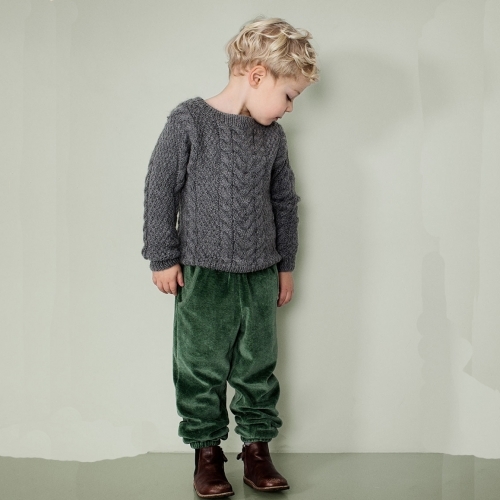 Soft organic corduroy overall.This is one of our favourites this season. Practical and beautiful in its Scandinavian quality and simplicity - thank you Serendipity, yet again! 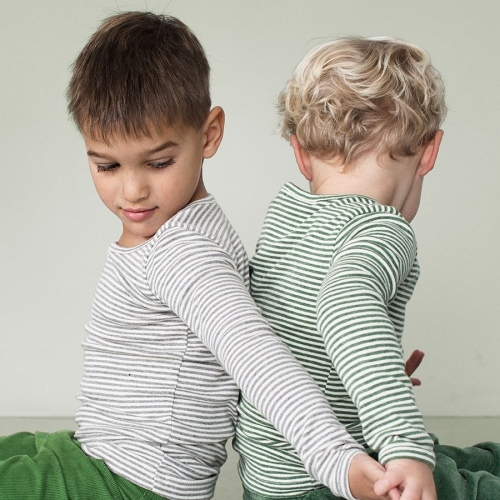 Soft organic corduroy baby pants.We love the colour and design! Practical and beautiful in its Scandinavian quality and simplicity - thank you Serendipity, yet again! 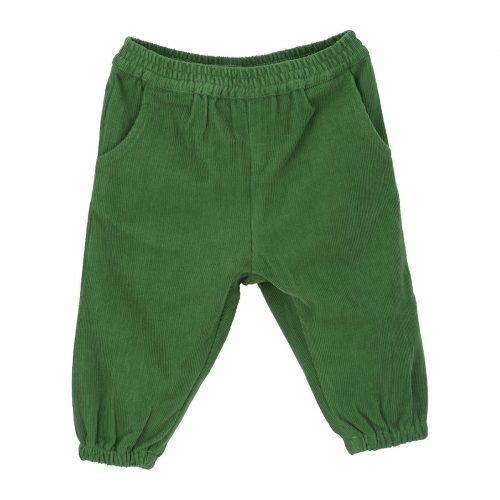 A truly soft organic baby pants with feet for premature and newborn babies in melange cotton - so gentle on delicate skin! 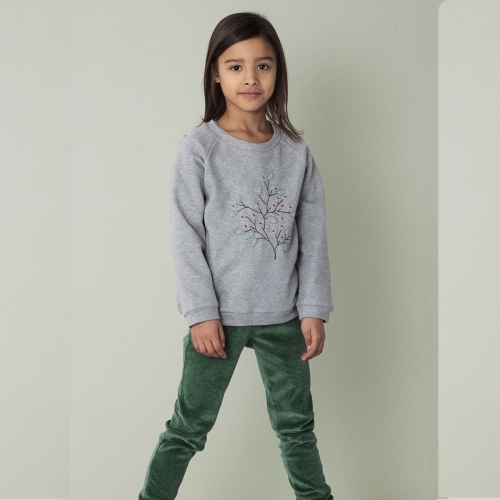 in the cleanest non toxic organic cotton. Perfect for the most sensitive skin. 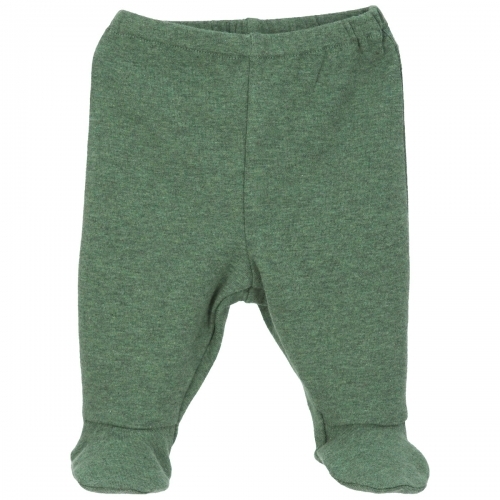 These soft little pants are a perfect easy layer for the newest of babies, the smallest size is for premature babies. 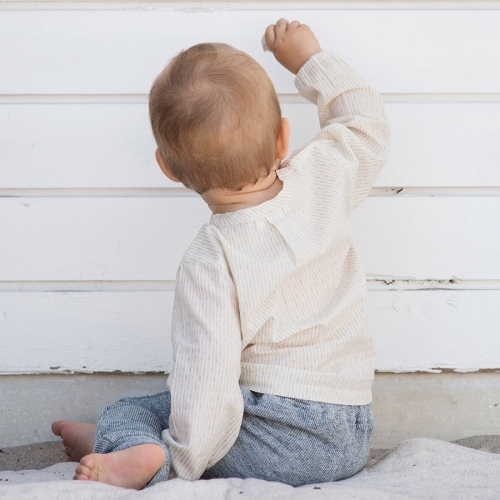 The perfect, versatile baby-body for growing babies. 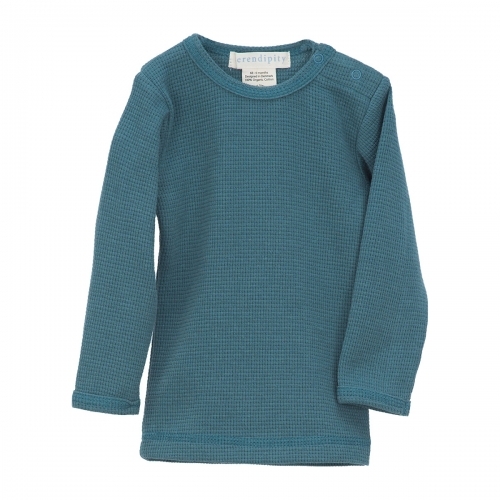 With a soft, healthy fabric and clever design, you and your baby will love its ease of use, comfort and style. 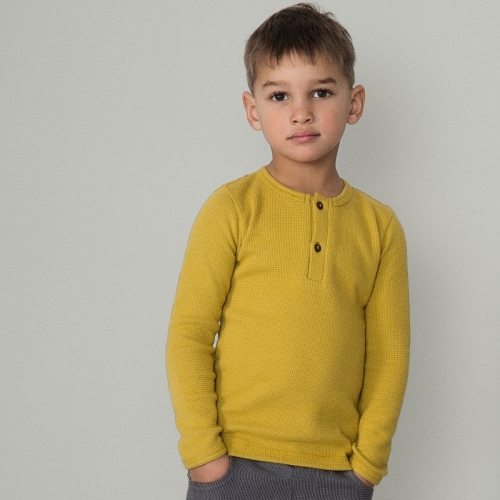 The benefits of soft organic cotton next to the skin, gently elasticated waistband. 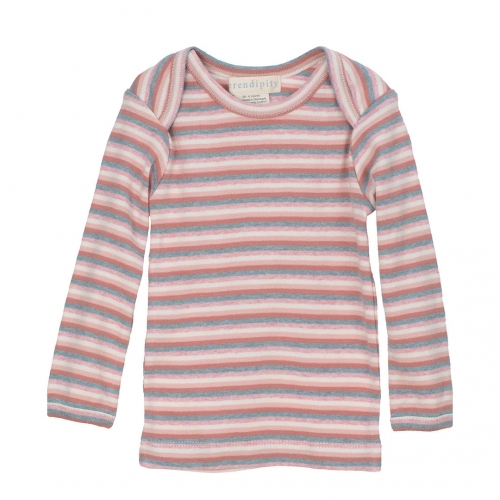 A truly soft organic baby body for babies in striped melange cotton - so gentle on delicate skin! With an envelope neck & nickel free poppers at the crotch make it easier to change and dress your baby. 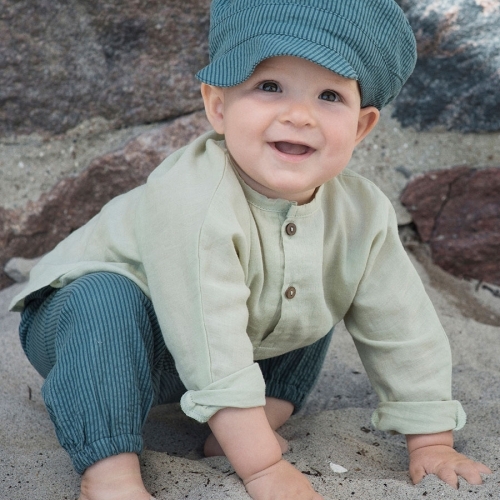 A comfortable baby bonnet made from soft organic cotton for sensitive skin. With two ties to fasten under the chin. A simple modern classic. 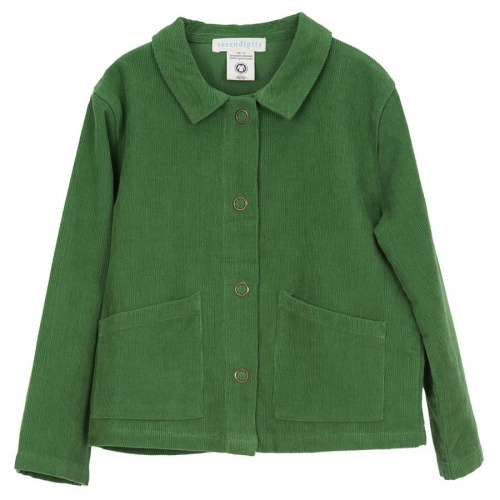 The cardigan redesigned displaying its Danish design origins. 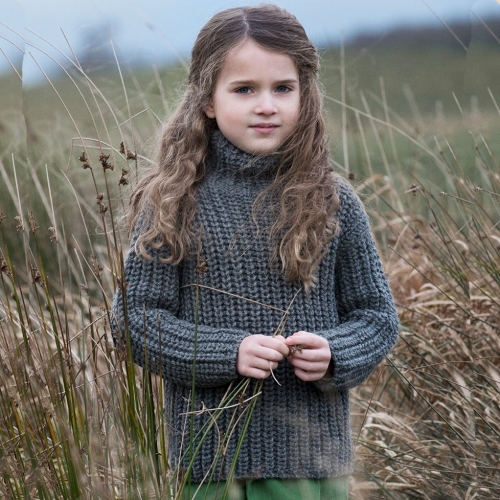 Crafted in soft alpaca, this is a piece to wear year after year. 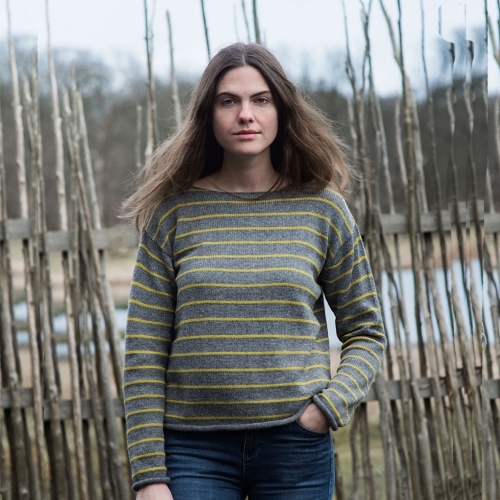 This beautiful jumper is made of 100% soft Baby Alpaca wool. 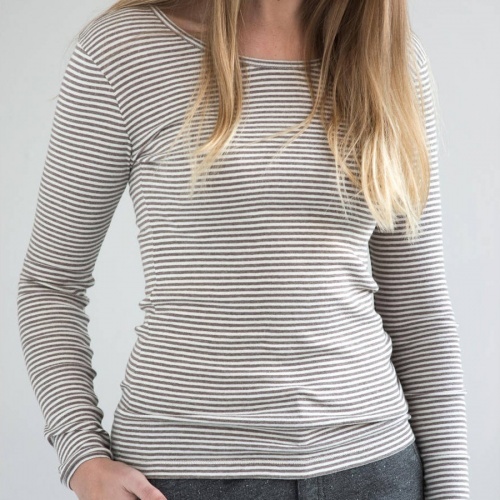 It is a very flattering straight fit jumper with dropped sleeves, a slight boat-neck & finishing on the hip. 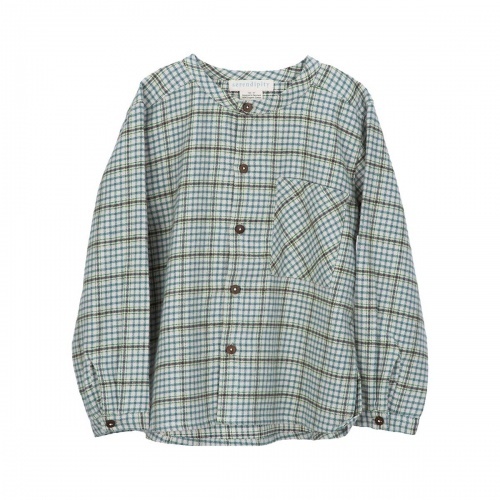 It is really warm and cosy without being bulky. 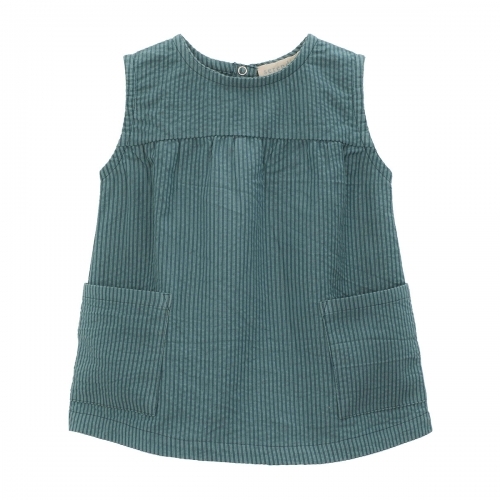 In really soft organic cotton, this round-necked ladies' top brings simple Danish style and comfort to everyday wear! 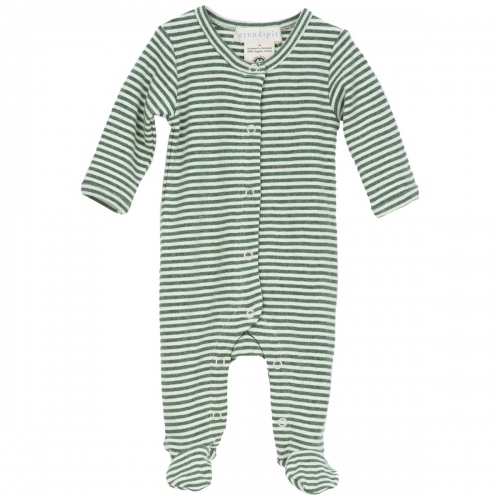 A truly soft organic babygrow for premature and newborn babies in melange cotton - so gentle on delicate skin! 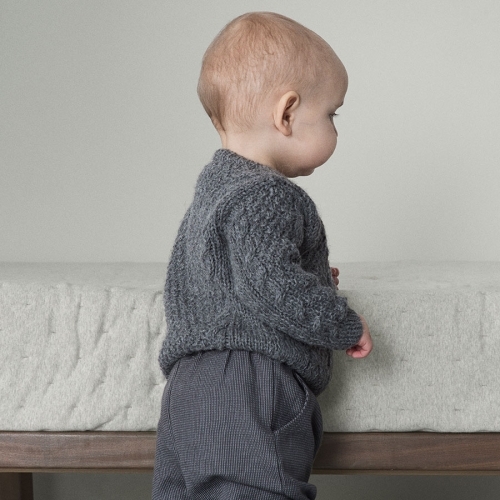 A cleverly-designed suit which opens from neck to foot to make it easier to change and dress your baby.